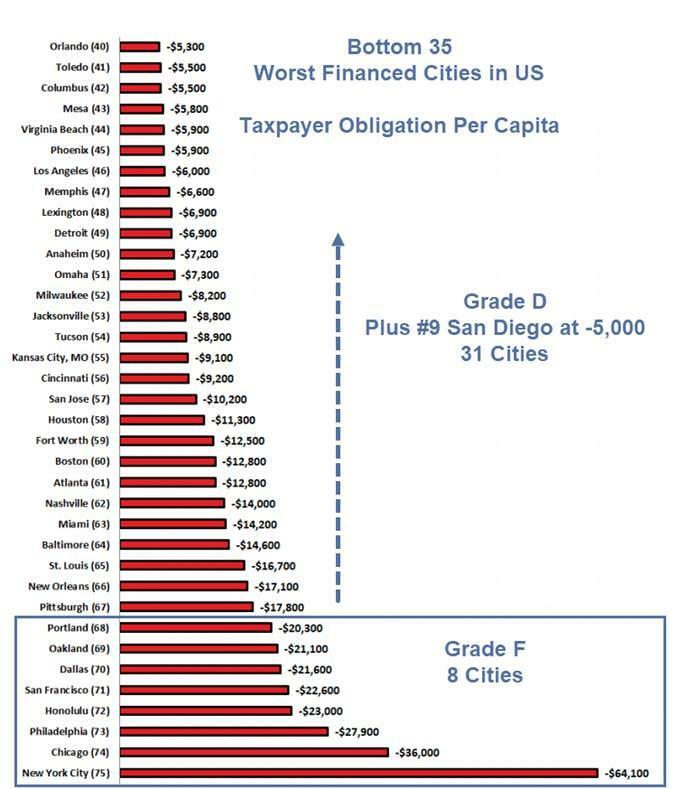 63 out of America’s largest 75 cities can’t pay their bills, acquired $330 billion in unfunded debt. Via a report on Watchdog, analysis of the 75 most populous cities in the U.S., shows that 63 of them can’t pay their bills. The total amount of unfunded debt among them is nearly $330 billion. Most of the debt is due to unfunded retiree benefits such as pension and health care costs. Truth in Accounting’s grading system for the 75 cities gives greater meaning to each city’s Taxpayer Burden or Taxpayer Surplus. A municipal government receives a “C,” or passing grade, if it comes close to meeting its balanced budget requirement, which is reflected by a small Taxpayer Burden. An “A” or “B” grade is given to governments that have met their balanced budget requirements and have a Taxpayer Surplus. “D” and “F” grades apply to governments that have not balanced their budgets and have significant Taxpayer Burdens. The most shocking thing is not how bad the worst cities are, but rather some cities in California actually appear to be solvent. The above analysis is by city. 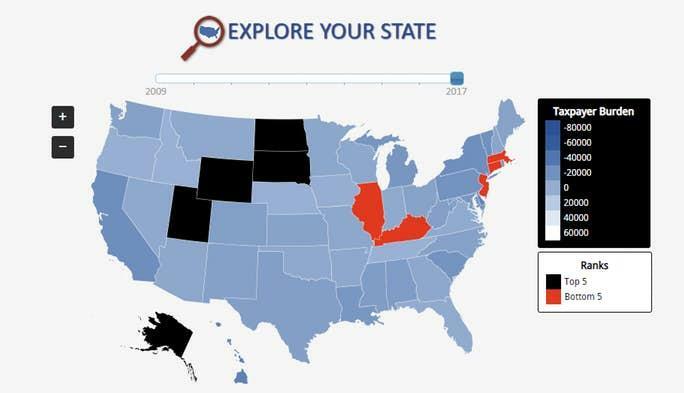 Also consider State Level Liabilities. On a combined liability basis, Chicago is the winner. Each Chicagoan owes the state $50,800 and the city an additional $36,000 for a total of $86,800 per capita. New York City residents "only" owe $21,500 to the state plus $64,100 to the city for a grand total $85,600 per capita.